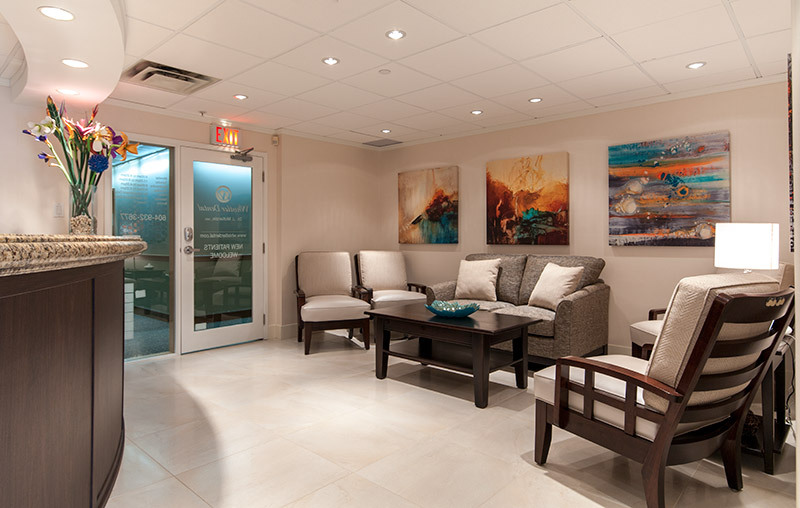 123 Dentist’s network of experienced dentists and state-of-the-art dental clinics reaches all the way from Chilliwack to White Rock and from Port Moody to North Vancouver. Now for the first time, we’re expanding to include service in Whistler, British Columbia. Patients visiting Whistler from elsewhere in the lower mainland will now be able to visit our newest clinic with no hassle, their patient files seamlessly, digitally transferred to and from their existing 123 Dentist clinic. To commemorate Whistler Dental’s partnership with 123 Dentist, we’re offering a chance to win a $100 Visa Gift Card through our Fan of the Week Contest on Facebook. Simply follow this link to enter and select your favourite Whistler Summer Activity from our list below. You’ll receive three bonus entries for your time and increase your odds of winning $100 for that next family trip. Whistler Dental was founded in 1993 and has a long history of helping patients with general, cosmetic and emergency dental care. Long before 123 Dentist, Dr. James McKenzie was practicing dental care in Whistler, building relationships with the locals and visiting tourists, who now trust him with their smiles and more. We’re proud to welcome this experienced and passionate team into our family. The next time you’re on the slopes and get a tooth ache or heaven forbid have an accident on a black diamond run, just remember to contact Whistler Dental and tell them you’re a 123 Dentist patient and they’ll do the rest. Take a look at their wide range of services, and make an appointment by calling today. What about Whistler in the summer? People often forget that Whistler is a top destination for tourists year round, and some of the most beautiful scenery can be found their during the summer. With world class restaurants, more affordable lodging and a ton of outdoors activities to partake in, why not head up to Whistler for some fresh air this summer? To commemorate Whistler Dental joining our 123 Dentist network, we’ve put together a list of some of the best things to do in Whistler this summer. Stimulate your mind with some great activities for the family that will enlighten and entertain. Learn about the alpine environment, wildlife, geology and climate change effects. Go for a horseback trail ride, visit the Whistler Museum or the Squamish Cultural Centre and learn about the history of the area. If you’re looking for an excellent, peaceful way to pass the time, consider learning about nature while experiencing it’s beauty. If there is one thing in Whistler to do for children, it’s the family fun zone. From the famous Westcoaster Slide to Nintendo Mini Golf, the Human Gyroscope, Go-Karts and much, much more, theres literally too much to do in a day. Think about getting the Adventurer Pass, which gives you access to 14 rides for one price. Similar to the PNE, you don’t have to buy a pass for yourself, just hang out by the attractions with a good book. But you should at least try to find the Amazing Maze or the climbing wall. In case you missed the memo, Whistler isn’t just a sleepy town for ski and snowboard enthusiasts anymore. It’s a truly international destination, with some of the best shopping British Columbia has to offer. Not only that, but there are almost infinite dining options, from affordable gems like The Alpine Cafe or higher end dining like The Rim Rock Cafe & Oyster Bar. One of our personal favourites is Splitz Grill, a great place for a simple, all natural burger. No matter your tastes and budget, there’s an excellent option for you. One thing that Whistler offers that you simply cannot experience anywhere else is the jaw dropping gondola ride from Whistler to Blackcomb and the countless trails awaiting you and your family on either end. Wildflowers, gorgeous mountain views, rivers, streams and wildlife will leave you with a truly memorable experience. Stop for lunch at Roundhouse Lodge along the way, or pack your own lunch and picnic at a designated rest spot. With 360 degree views of the Rocky Mountains, you won’t ever forget Whistler like this. Did we mention the barbecue? On select evenings and weekends, enjoy some scrumptious, affordable cooking with one heck of a sunset. One of the best ways for the previously initiated to enjoy Whistler is with one of the many adventure tours the area has to offer. From River Rafting in the nearby Squamish River to the Tree Top Tree-Trek Tour, there is something for everyone. Why not take your skilled peddling to the Mountain Bike Park and take a ride on the ATV trails. Want more? How about a ZipTrek Zipline Eko-tour above the treetops or a Bear viewing tour? A word to the wise, these tours are not all appropriate for children, but the activities often have a younger child version. They can also cost a bit more, so you may want to pick just one to start. Whistler in the summer is missing it’s most famous feature, snow. Sure, the beauty, sun and activities make up the difference for the most part, but for those snow bunnies who can’t get enough of the white stuff, there’s Glacier Skiing, where you can experience the best of the summer and winter in one place, until the end of July. Be sure to check it out, especially if you’re staying in the area a while and have the time to trek up to the glacier. Need one more reason to add Whistler to this summer’s to do list? The video above shows the true, natural beauty of one of the world’s most jaw dropping natural wonders. Visit Whistler/Blackcomb online for dozens of great activities in summertime. You’ll be amazed at what there is in store for you and your family. What was your favourite? Tell us and you could win, so don’t delay, the contest closes Tuesday at midnight.